Hello. I’am really happy to join this great community here. I want to share with you my short story first. A long and winding road behind me. I started over 10 years ago. Finally i ends a few months in a row with profit. Of course then i had to screw up this. Lack of discipline and looseness ends with ONE 10x bigger than always trade, of course with loss because i belived it will go up. 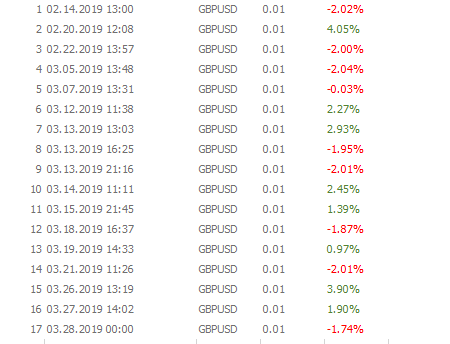 The whole profit of 6 months went to the sand - only 1 trade. Wish me discipline. Profits will come. Best of luck to you, it can happen to many others and has done! Stay strict and I’ve been caught out trying to get the reversals when trading against the trend and as you say falling knives. Big lesson but you sound humbled by it and still determined to continue on, great traits to have and own. Enjoy the journey and wish you all the best! Ok. First setup on my favourite cable. Lock some profit on 1R. Not very good point to set stop loss. Still warming up with volume and strategy. Profit is a profit so this was a good trade. This pin bar candle is still valid so now i go long with min volume. Another pin bar. Profit potential is 2R or more so, i will hold till TP on 2R or just lose my 1R. I don’t move sl. 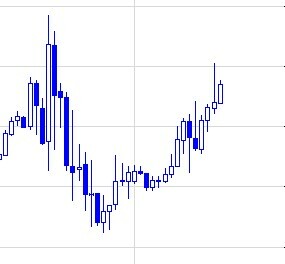 1R reach After weekend undoubtedly we will see some gap on chart. I have some thoughts about my strategy. The above was tested a few times, though not fully, but it was. 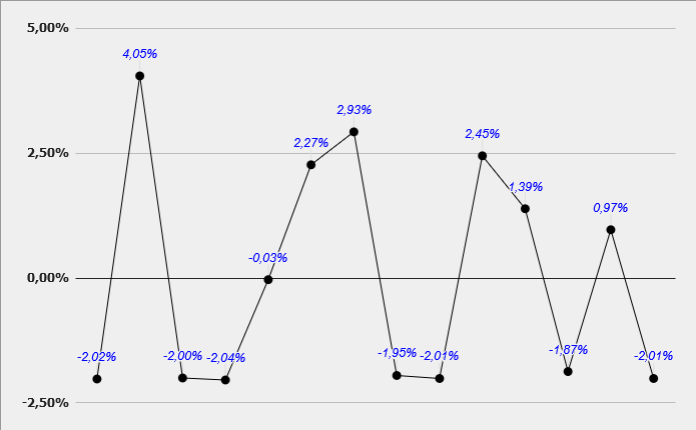 I noticed that I recorded the most profit and progression when I played differently. These were often intuitive movements at smaller intervals (15M, 30M, 1H) which were either profitable or quite quickly and consistently closed when they brought a loss. But one of the biggest disadvantage of this strategy is that you must observe the market during all day. In my current job, it is not always possible. I will probably change strategy after that current trade. This other strategy is difficult to determine but effective. Look at this chart, based on this strategy and the last trade (briefly described in my 1st post). No. I stay with this current strategy. If i want to do it with more professional level i need more stability. The chart below show my current strategy by trade and % of return. Another one trade still open (current on 1R profit). Good day. I deposited more money to my account and simultaneously increase standard position size. Still max SL per 1 trade is 2%. I should change the topic of my journal to “Freestyle PA strategy but with 1 constant rule”. This rule is 2% max loss per trade. 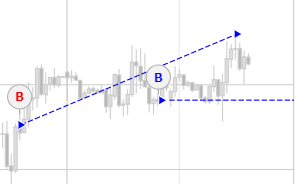 Hello G, there are no tradable gaps in spot currency and volume is not true volume, just directional ticks. hello @Gopixus87… nice tat you decided to have a journal within the community here, usually that helps if one sticks with it… hope to see you around for a long while buddy and good luck with your trading. @macilme Thanks for good word.